Creating woven friendship bracelets has never been easier or more fun! This compact design will fit in your pocket for braiding on the go! 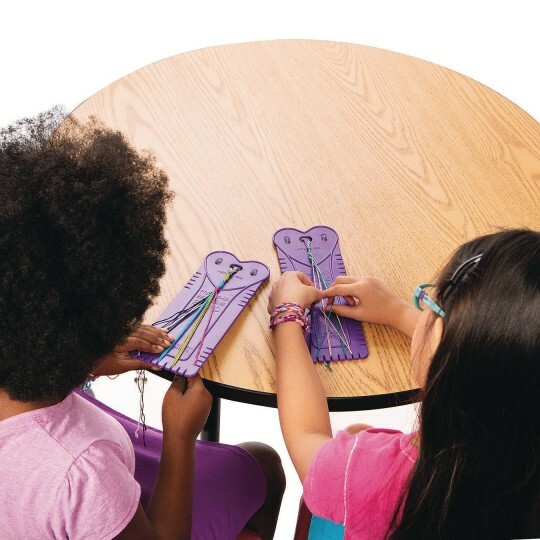 Creating woven friendship bracelets has never been easier or more fun! This compact design will even fit in your pocket for braiding on the go! 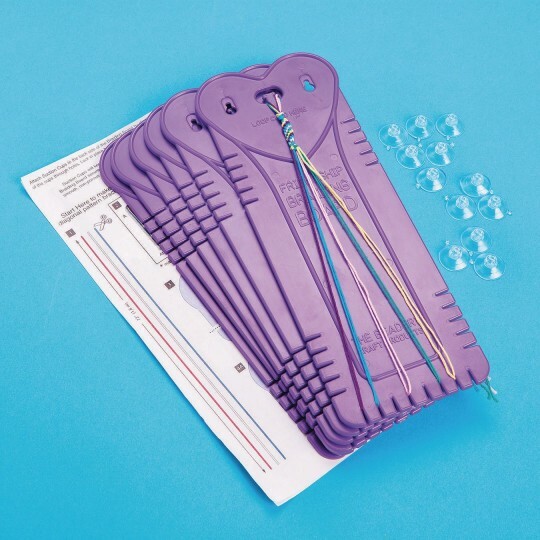 Lock-in suction cups keep the Braider secure to any non-porous surface. Top loop notch holds the project in place for perfect results. Side and bottom slots keep cord positioned for easy braiding! Molded from sturdy plastic. Works with floss, cotton cord, hemp, and more. Pack includes: 6 boards, 12 suction cups, and an instruction sheet. Made in USA.